If you have a love for old classic country artists such as Hank Williams Patsy Cline and Wanda Jackson then you might have a soft spot for this Portland band. Jenny Don't sings from the heart and Sam, Kelly, and Christopher play like there is no tomorrow. 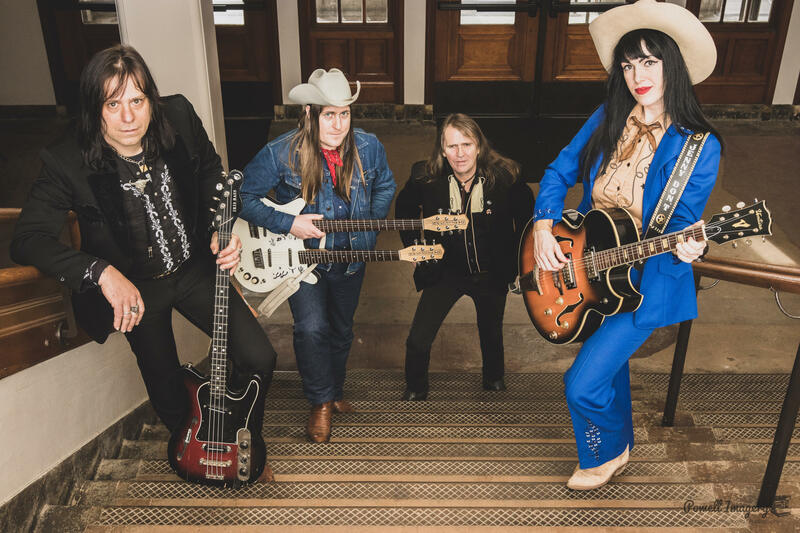 Jenny Don’t And The Spurs features Jenny Connors guitar and vocals, Christopher March on lead guitar and lap steel with Kelly Halliburton (Pierced Arrows, Dead Moon) bass and Sam Henry (The Wipers) on drums.